Chictopia is the largest source of fashion inspiration on the web. 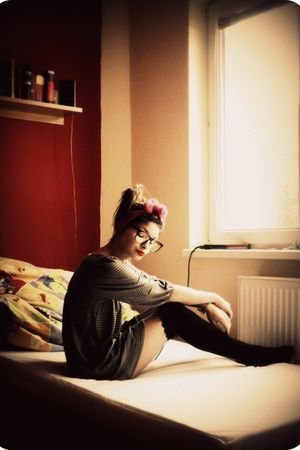 The knee high socks with lace trend is rocked by blogger GabsRude with gray big Secondhand shirts, black knee high socks with lace unknown socks, pink nylon unknown scarves, pink. to vote on GabsRude's look.